Susan will present ancient stories from world cultures that pre-date the Dark Ages of Europe and the advent of such misleading tales as “Little Red Riding Hood”. The purpose of the evening is to be inspired by this ancient wisdom to write letters objecting to the Trump Administration’s proposed delisting of the wolf from the Endangered Species List. All letters will be collected at the end of the evening and mailed in bulk to the Center for Biological Diversity. 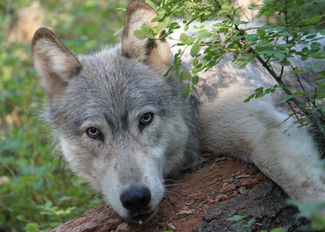 This will support the Center's legal efforts to thwart the wolf’s delisting.